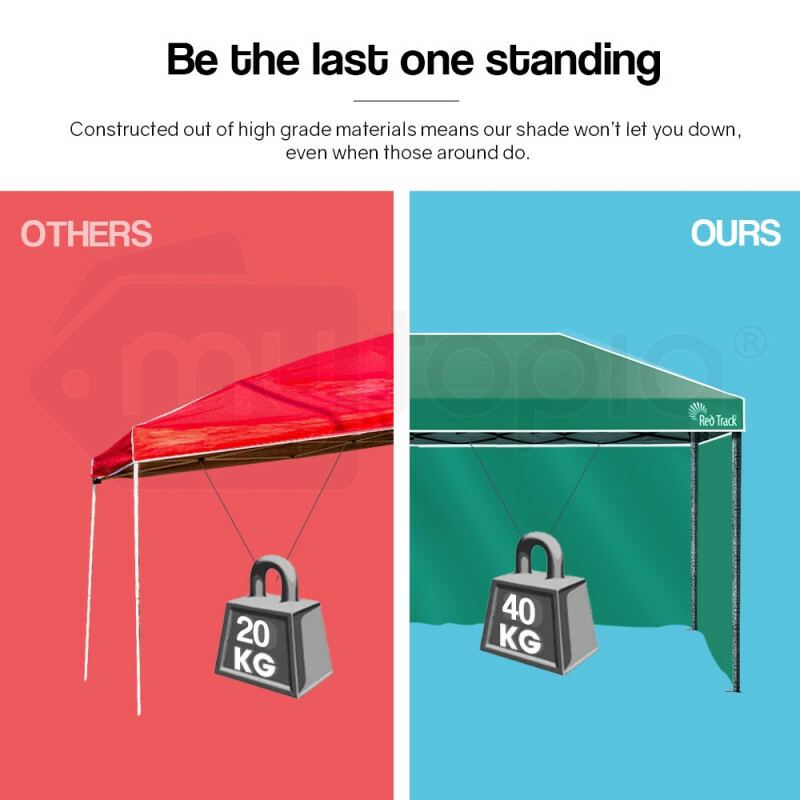 The Red Track Portable 3x6m Gazebos are designed with convenience, stability, and durability in mind. 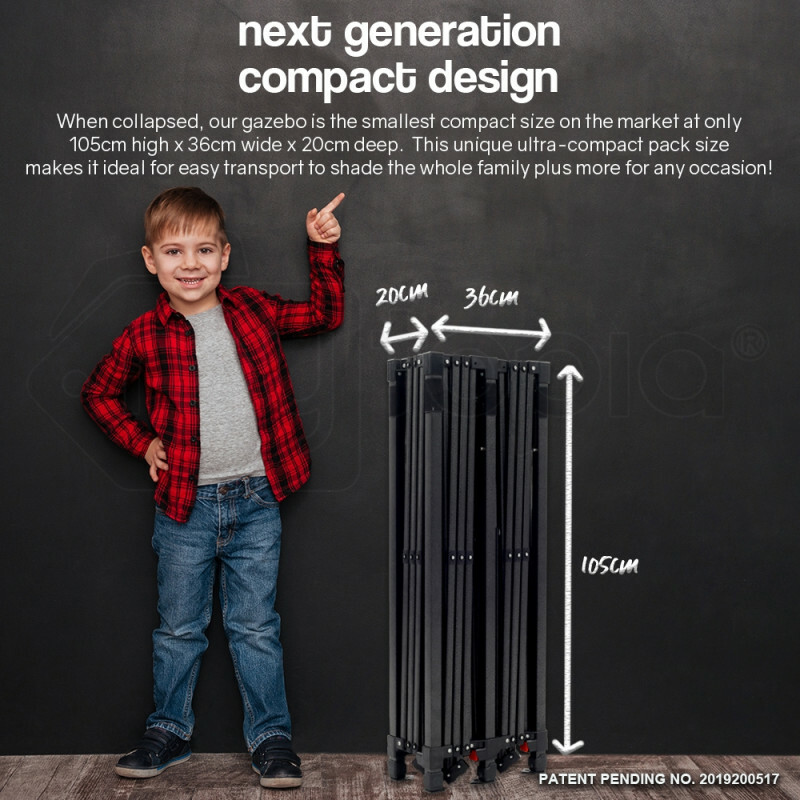 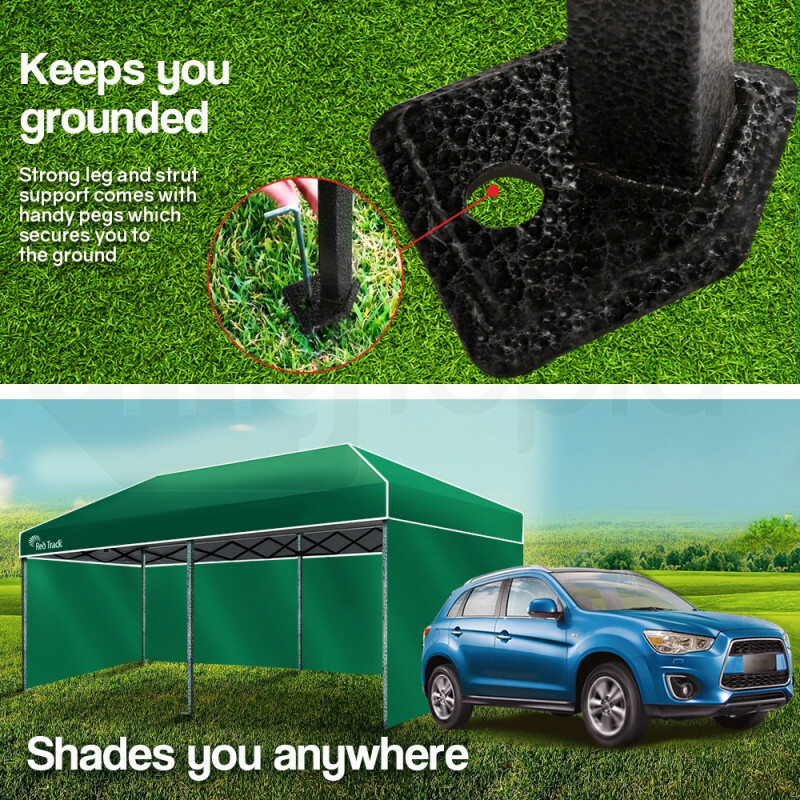 Featuring a patented design, this Red Track Gazebo folds down to be the most compact 3x6m model on the market, for convenient transportation and storage. 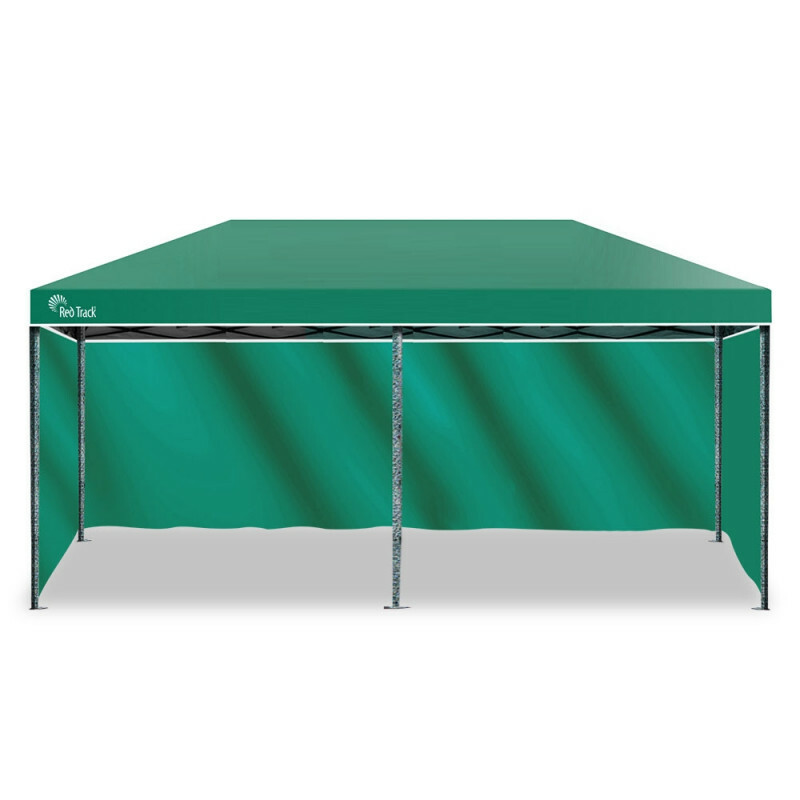 Quick and easy to assemble, the Red Track gazebos will provide reliable protection your outdoor experience deserves. 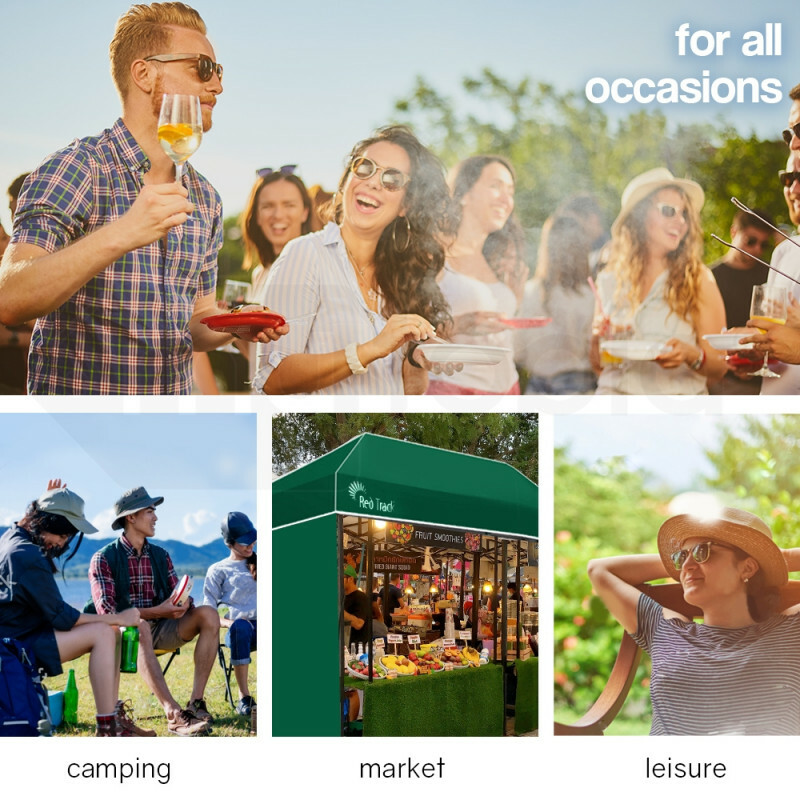 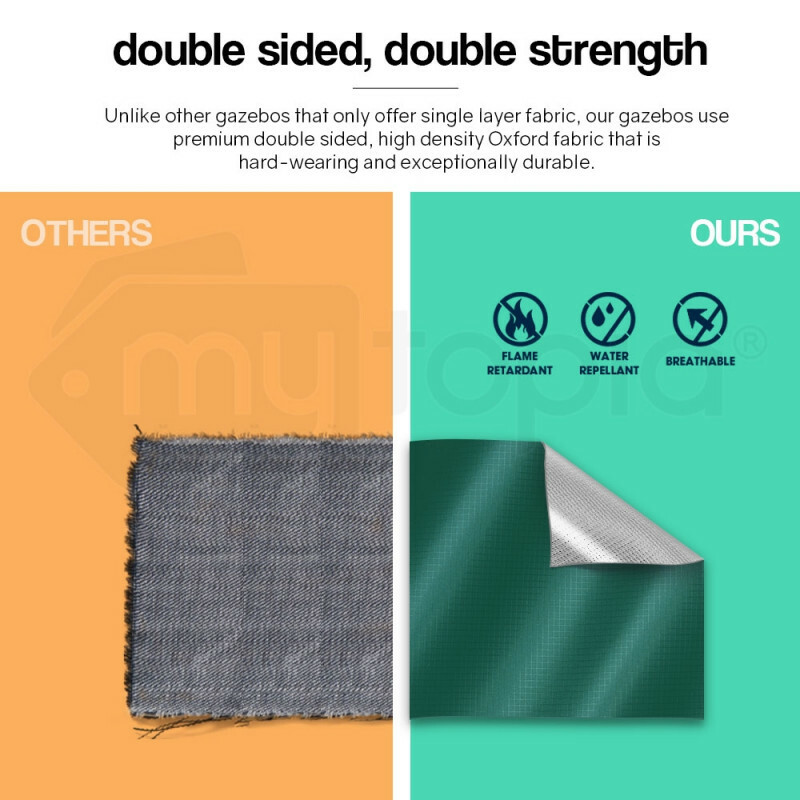 The easy maneuverability of the Portable Gazebos ensure that shelter-ready-protection is at your fingertips, making them ideal for garage sales, weddings, picnics, markets, trade shows, camping or sporting events, to name but a few! 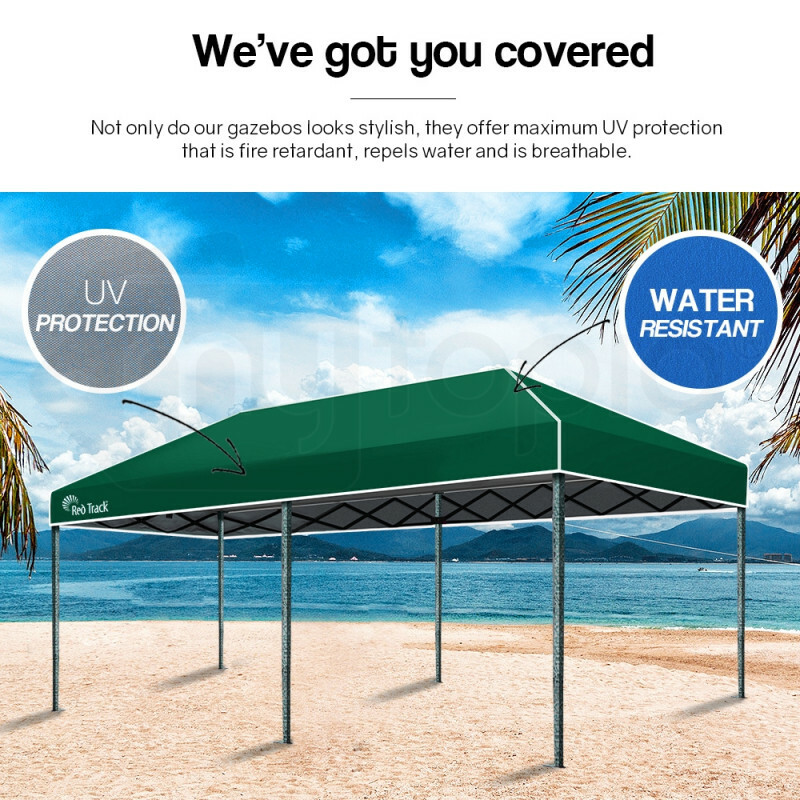 Featuring a super-strong triangulated steel frame care of its premium steel square tube legs and high-quality nylon joints, the Red Track 3x6m Gazebos will provide an unobtrusive haven. 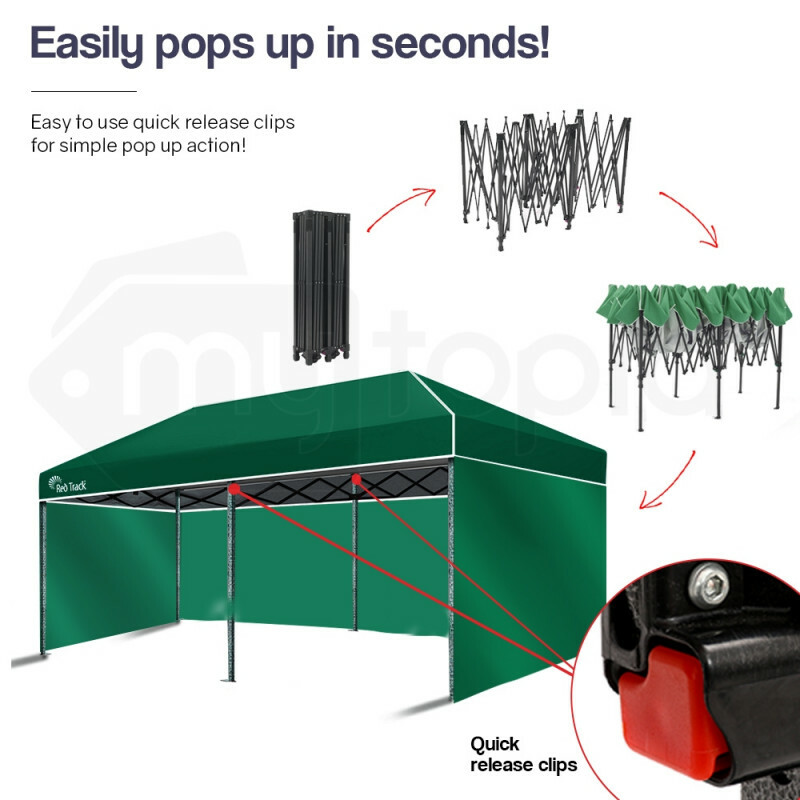 With effortless set up in four easy steps; pull them out like a concertina, place the canopy on top, lock the roof in place, then set the height with the smooth height adjusters and you’re done - it’s your time to relax! 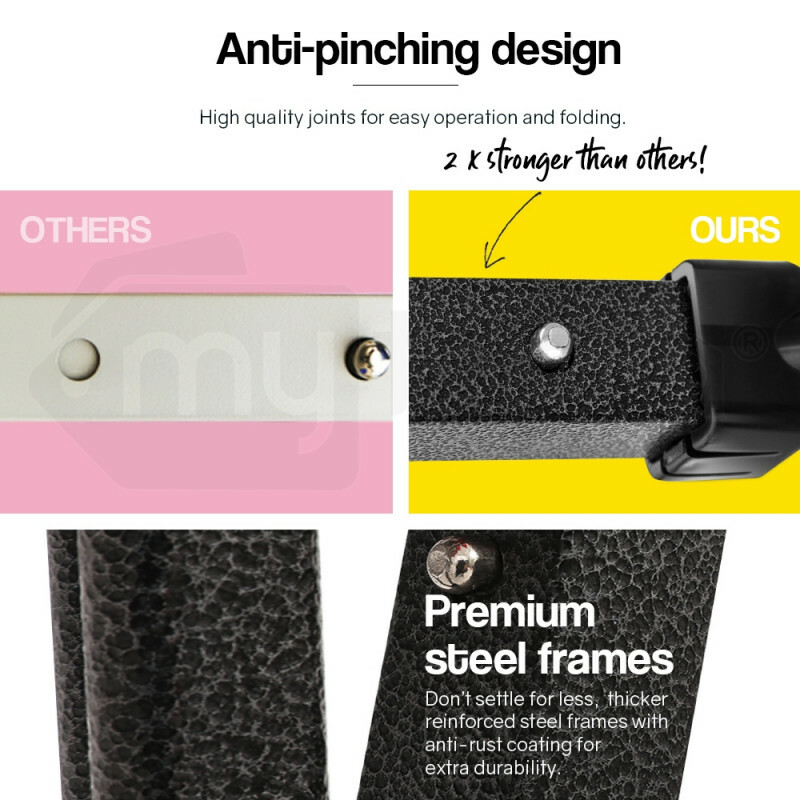 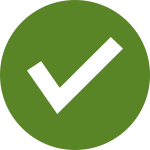 You can count on them to stay in place, thanks to the double-stitched anchor points and included stakes. 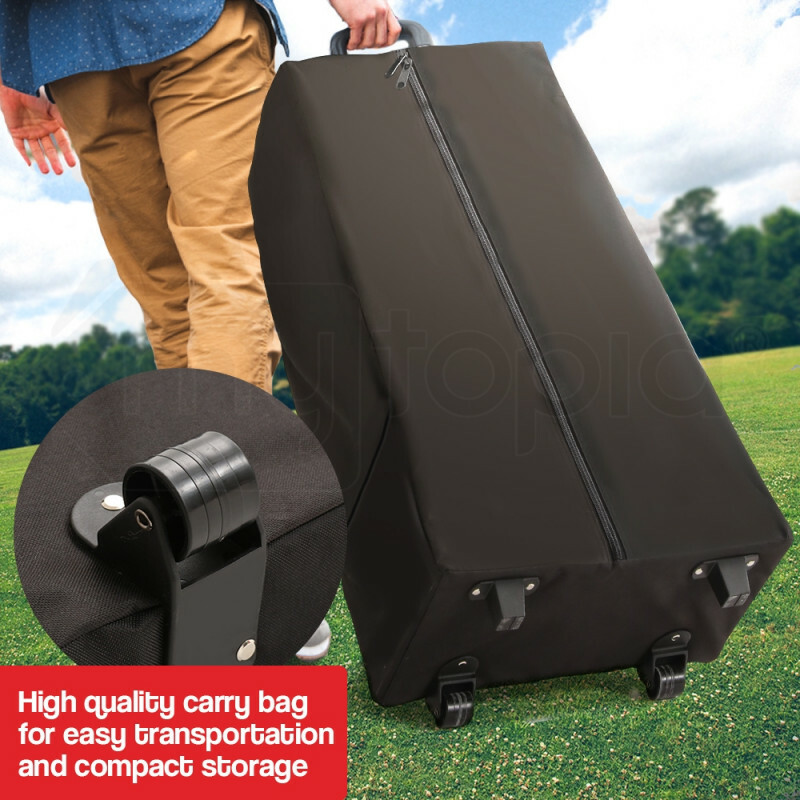 Once the event is done, dismantling is a cinch as the Red Track folds away neatly into the most compact package and fits into its included wheeled carry-on bag, ready to be tucked away in the backseat or boot of your car. 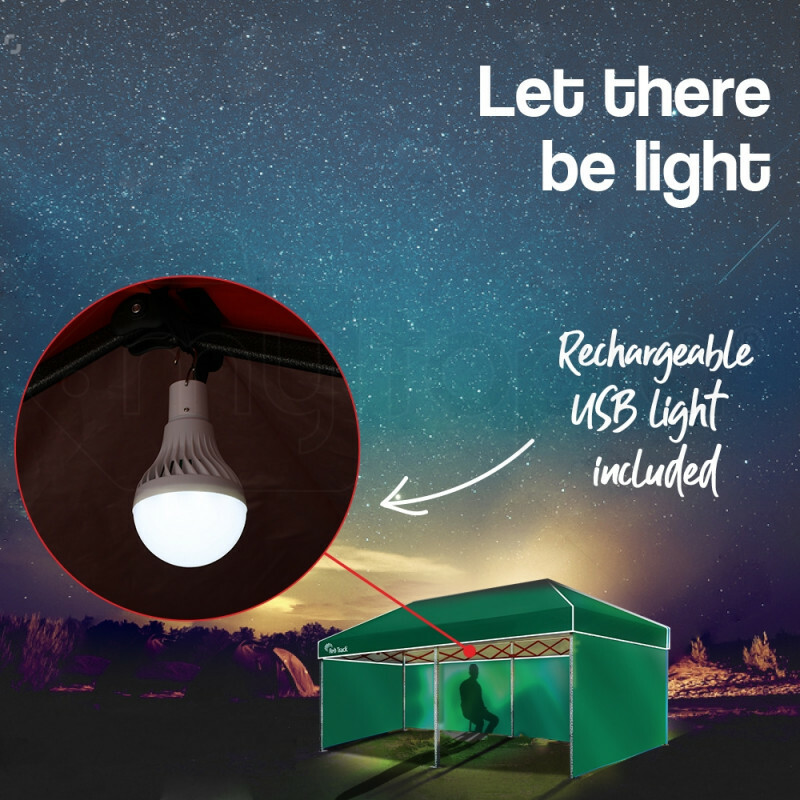 And when festivities extend into the night, the included rechargeable lamp and walls for 3 sides makes sure that you’re protected and well lit until the close of your event. 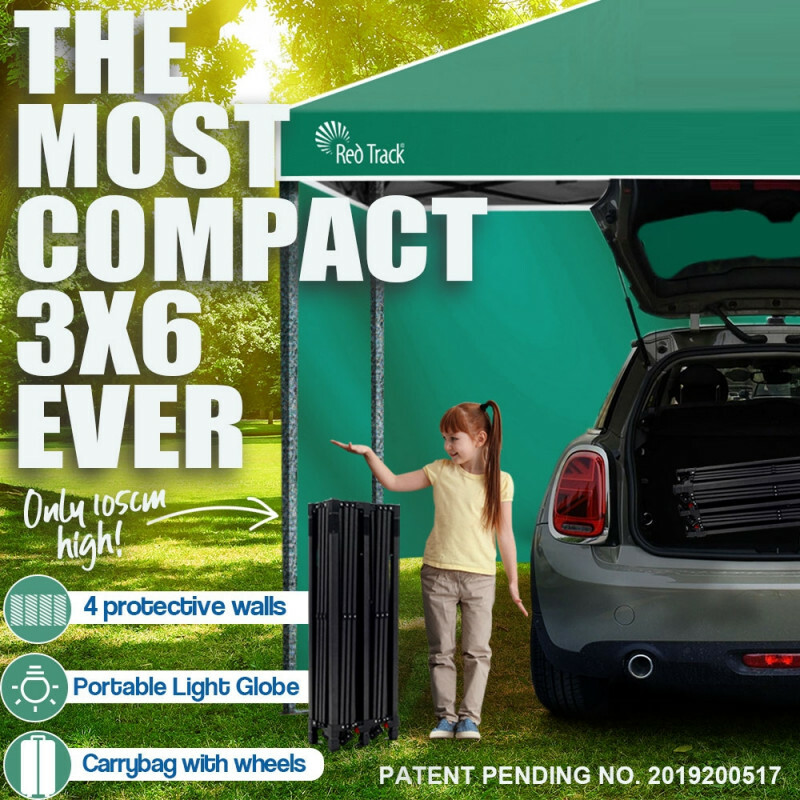 Whether its for your next family gathering or a garden soirée, the Red Track 3x6m Gazebo has you and your event covered. 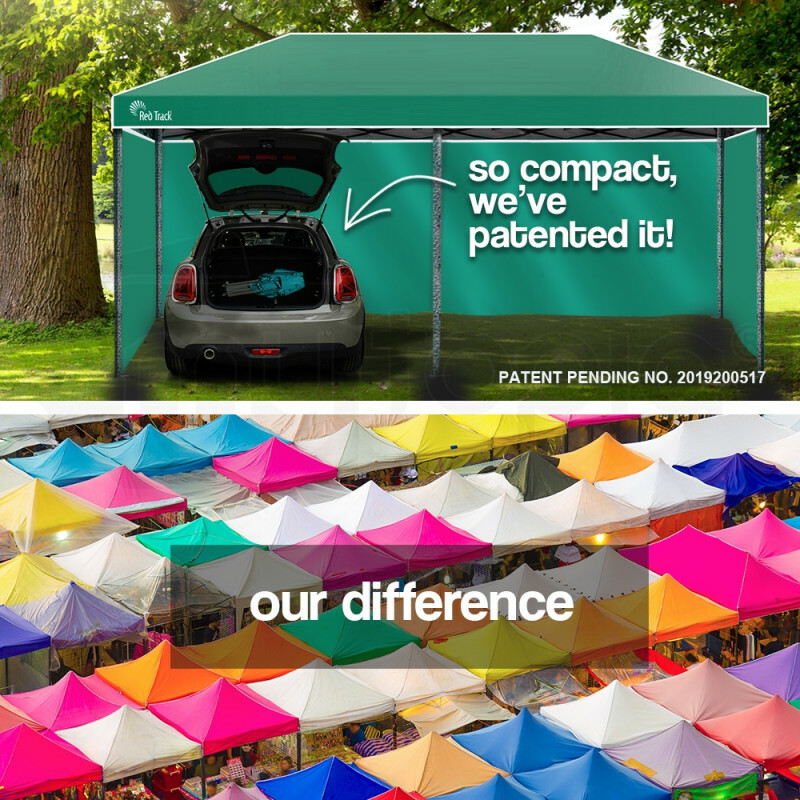 Note: 3x6m Gazebos require 4 people to erect.